404. 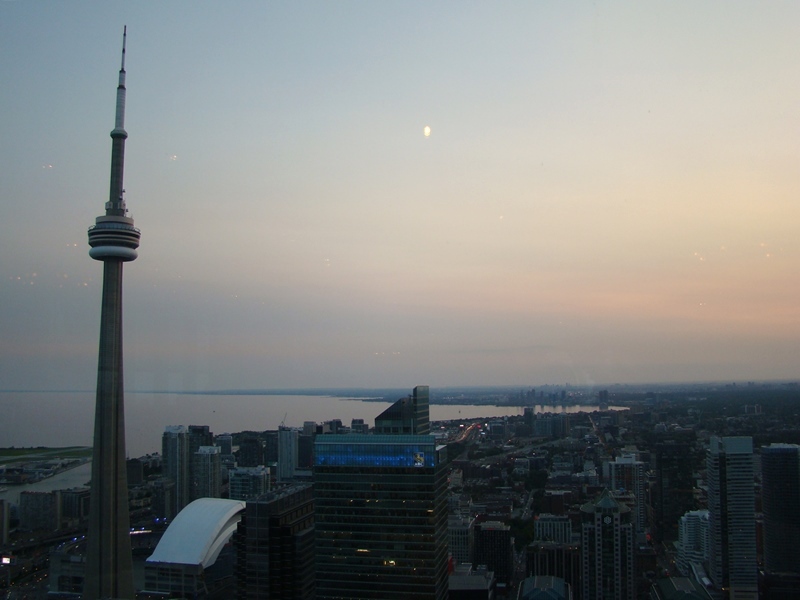 Birthday Dinner at Canoe | LEFTBANKED. It was my sister's birthday several days ago. 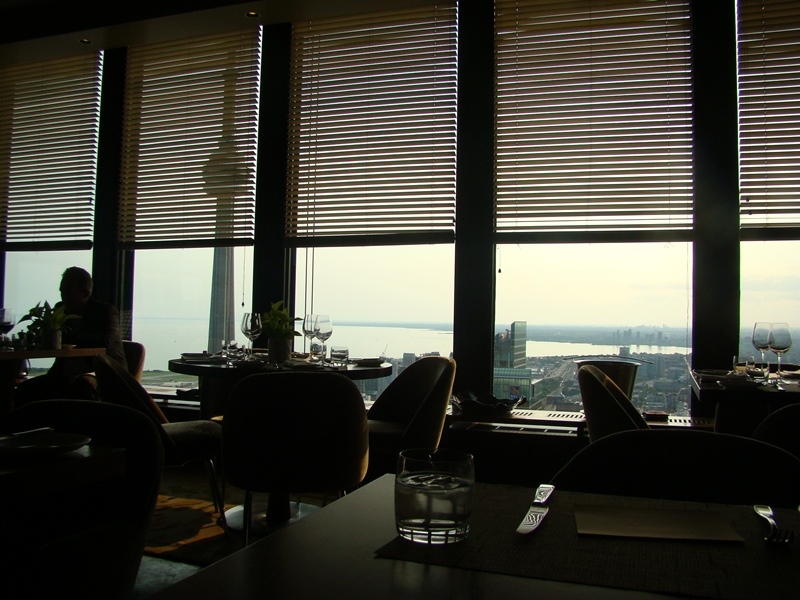 Last week, I decided to take her out to dinner at Canoe to try their vegetarian tasting menu. 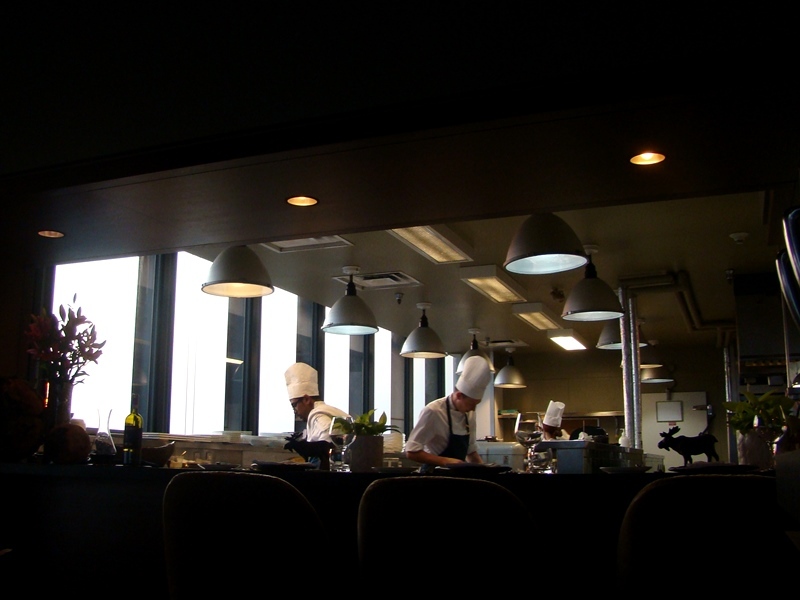 Canoe has a new tasting menu every season, with a vegetarian one available on request. 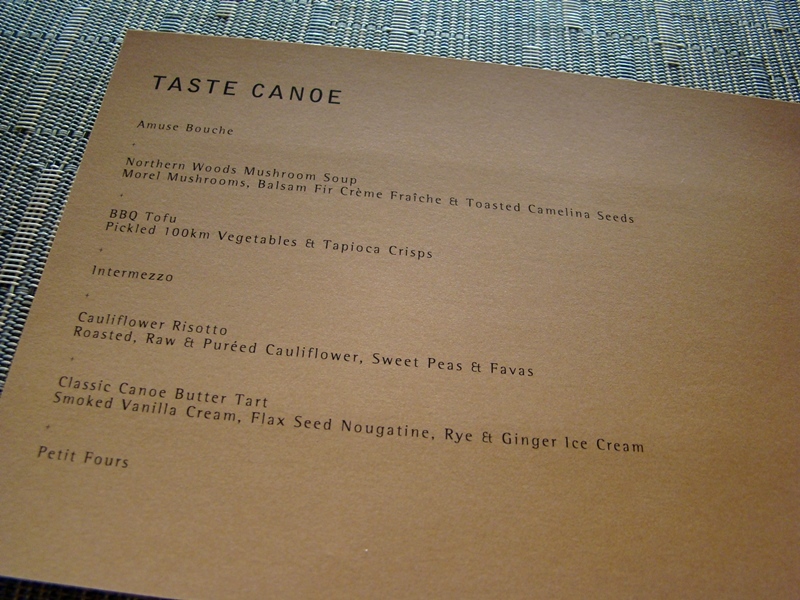 I've been to Canoe so many times yet I never had a tasting menu there before. It was a great experience. Definitely would want to do it again. 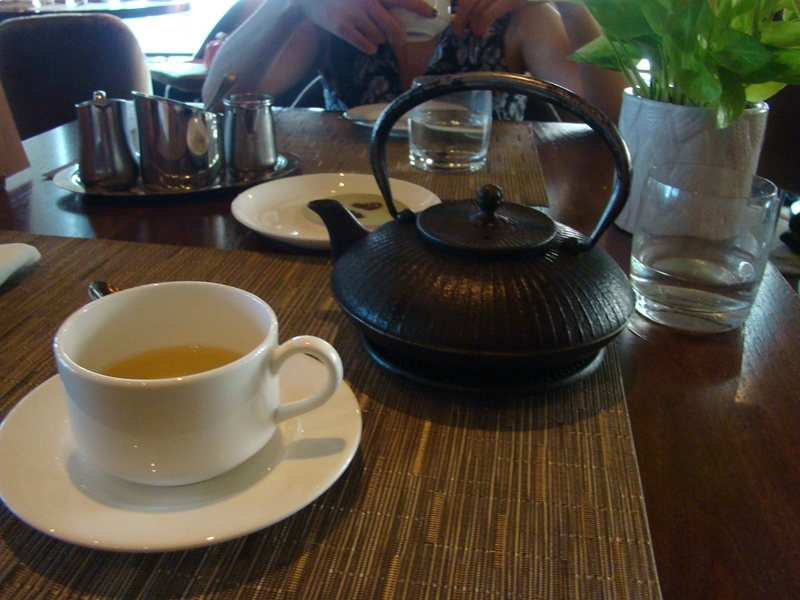 The servers were so attentive, friendly and knowledgeable in everything on the menu. Next time I go I want to try their current tasting menu - "Taste 60th Parallel". I think it was just released this week. Last week our server was telling us about a fish on there that has never been served outside of Northern Canada/the Territories. I LOVE the bread here. 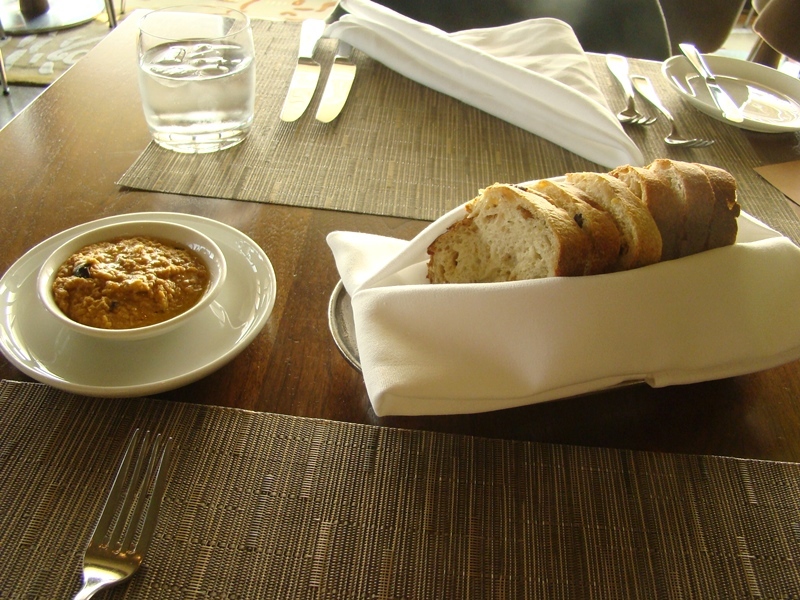 They make it in-house, and the spread that comes with it is always delicious. I don't remember what this one was..I know there's chickpea in there and something else. So good. I ate too much of it though..I ended up getting quite bloated halfway through our meal. 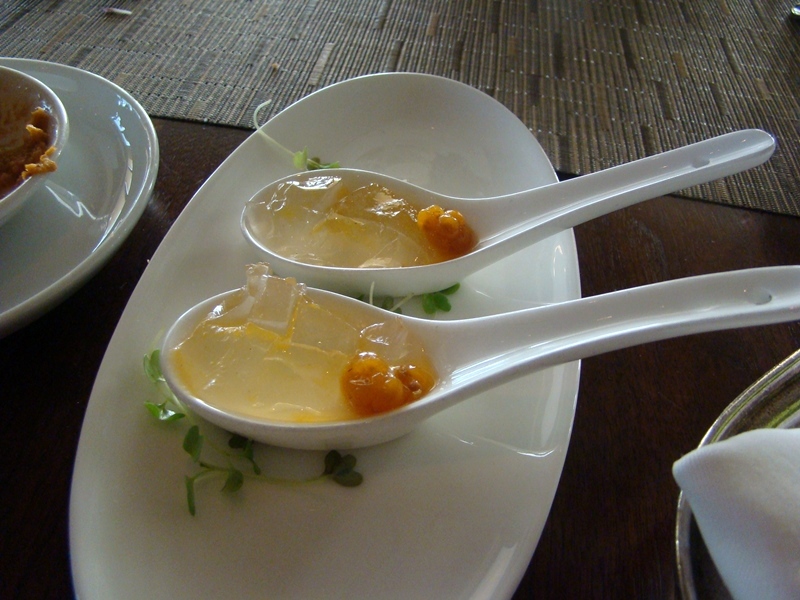 I always look forward to the amuse bouche at any restaurant. I love how it's presented. 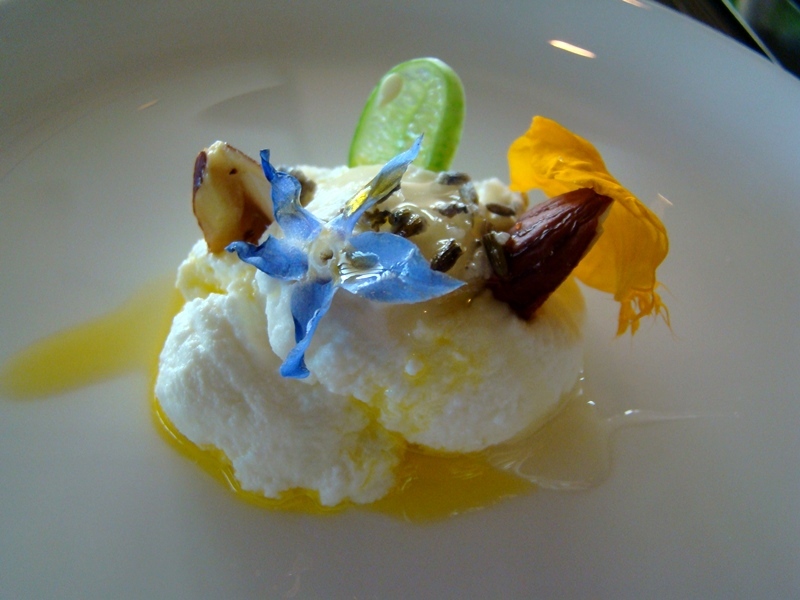 This is ricotta cheese, honey, edible flowers, and I forgot what else..it was delicious! 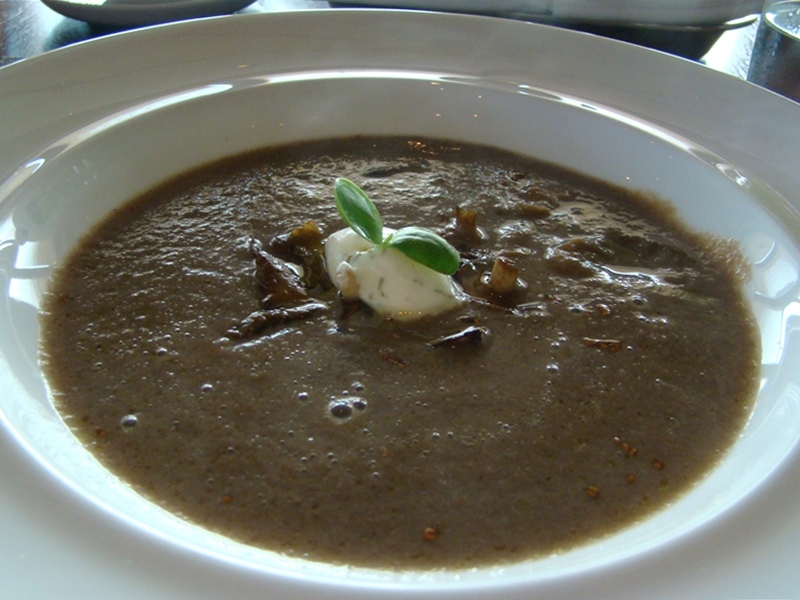 Next was the "Northern Woods Mushroom Soup" with morel mushrooms, balsam fir creme fraiche, and toasted carmelina seeds. 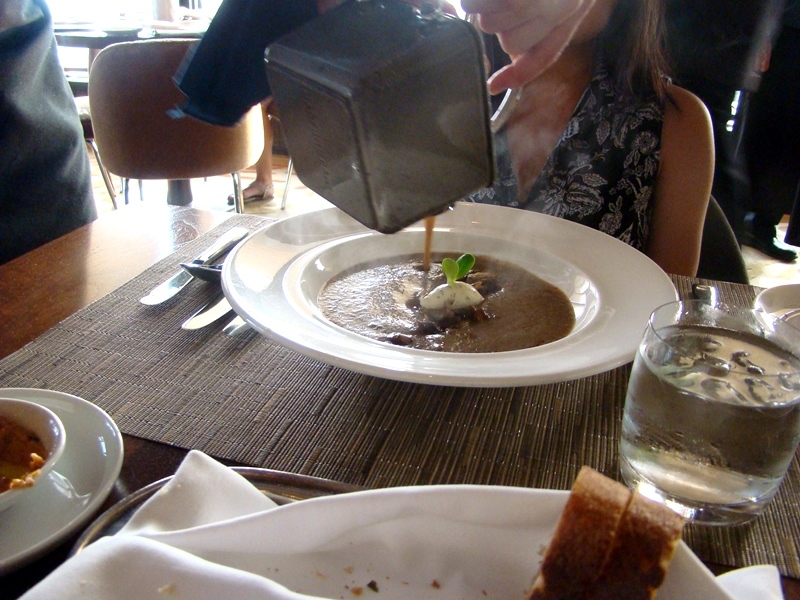 First you get the bowl with mushrooms in it, then they pour in the soup. It tasted like they used a LOT of mushrooms to make this. Very good but the portion was a bit too large. 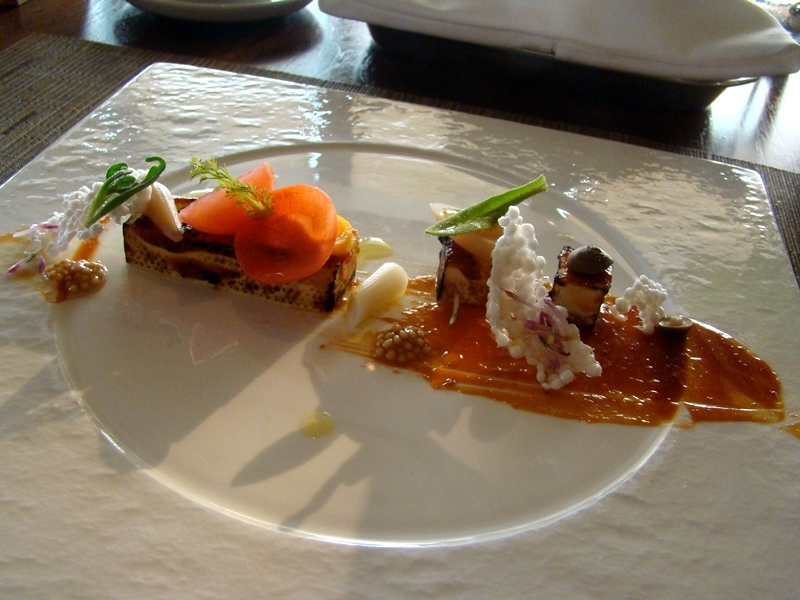 BBQ Tofu with pickled 100km vegetables and tapioca crisps. 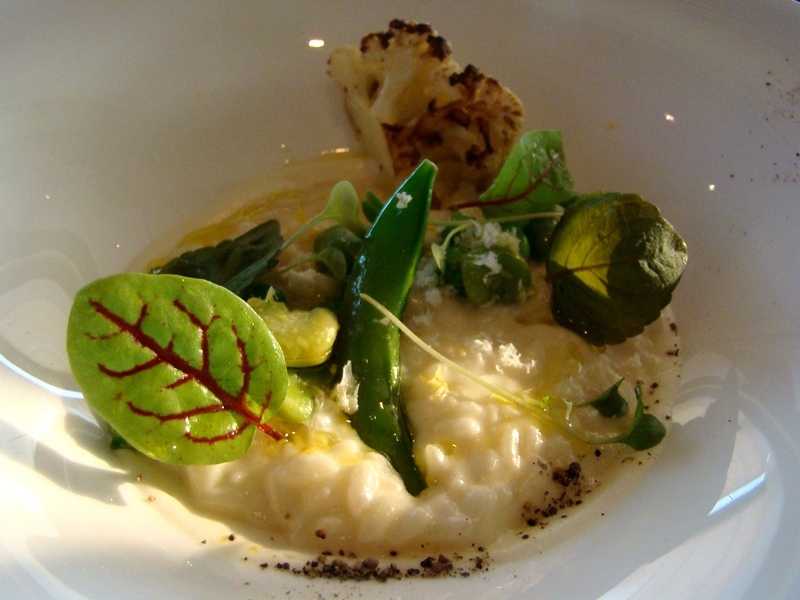 Cauliflower Risotto with roasted, raw and pureed cauliflower, sweet peas and favas. This was our favourite. It was most likely the best risotto I've ever had. 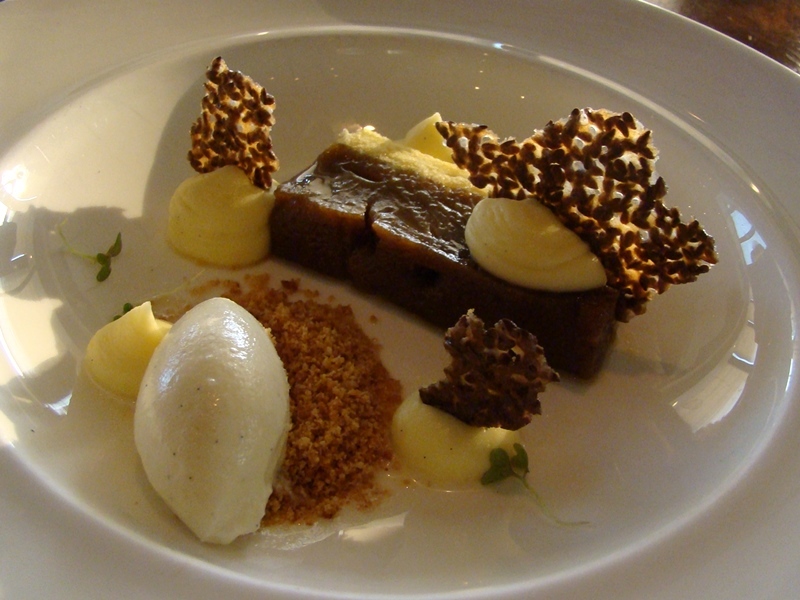 Classic Canoe Butter Tart with smoked vanilla cream, flax seed nougatine, rye and ginger ice cream. The butter tart was very sweet and so filling. 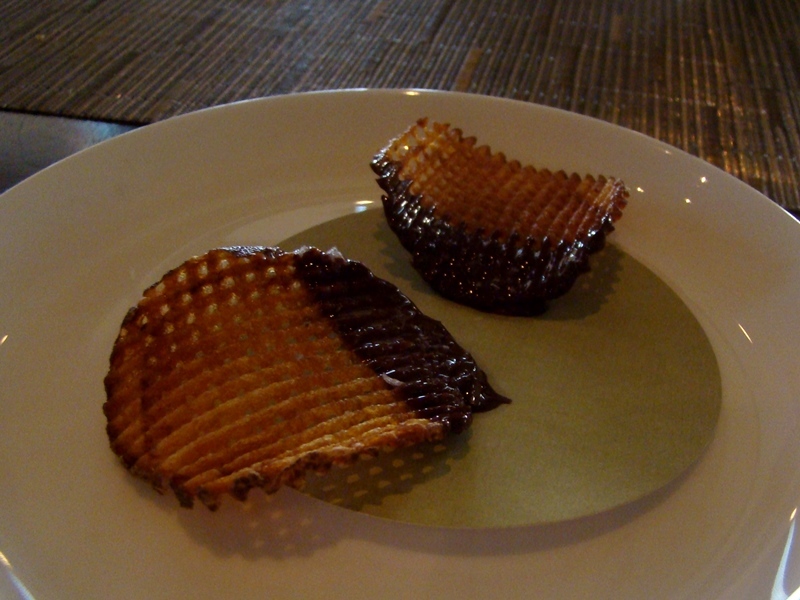 Our server has been working at Canoe for 14 years so far, and said this is one of his favourite butter tarts they ever made. Apparently the butter tart is always on the menu (while the other desserts change every few months or so), but every new pastry chef changes it up and makes their own variation of it. What an amazing birthday dinner for your sister. I have seen several posts from you about this restaurant and it looks fantastic. 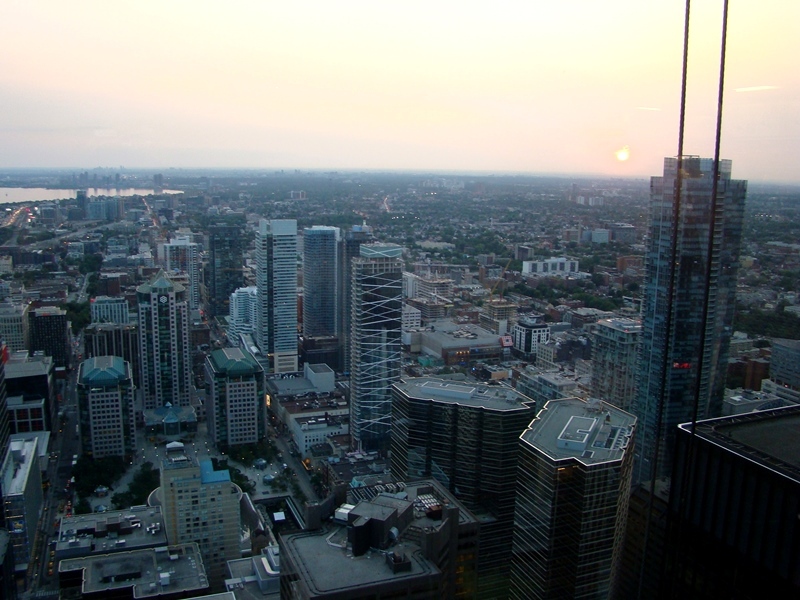 I would certainly go there if I ever visit Toronto. Wow - it's too late to make me hungry but I can't help but feel hungry now! The soup and risotto just makes my mouth water... Who knows, maybe I'll have a chance to try Canoe out myself while I'm still here. I absolutely love the view!